I think it can be really helpful to know what other twin moms-to-be experienced each week of their pregnancy. It’s comforting to feel “normal” and have something to compare my own progress to when so many updates focus on singletons, like those weekly emails. 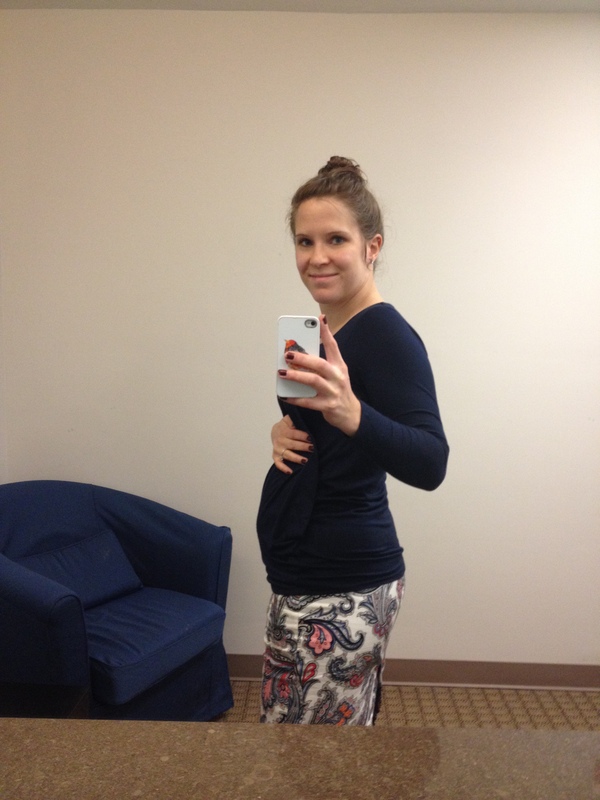 So, here’s what week 18 of pregnancy has been like for me. At 18 weeks, these little babies are about the size of small sweet potatoes. They’ve grown so quickly in the last month. I feel almost normal in many ways now that I’m a month into my second trimester. I have more energy, with a less dramatic need to nap in the afternoons. Not that I ever get one, so that’s been nice. I don’t have any real aches or pains yet either, unless I eat too much in one sitting– that is deeply uncomfortable all of a sudden. 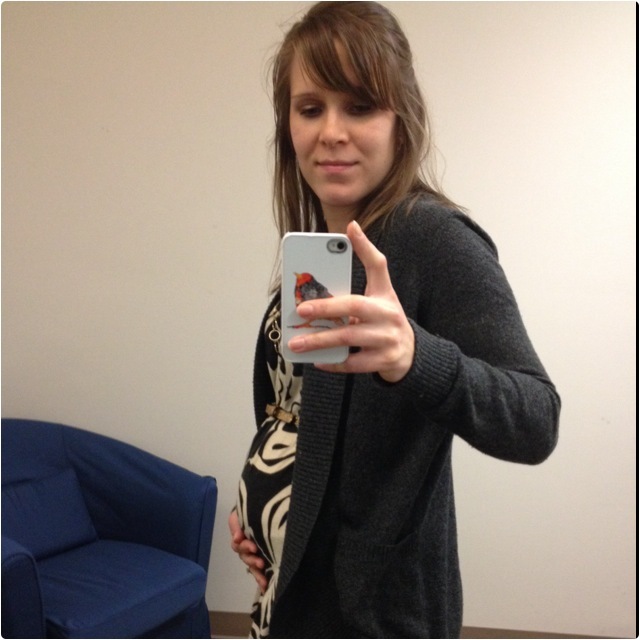 At 16 weeks I felt big, but my belly had really just gotten to the pregnant stage instead of the “fat-or-pregnant” stage. You know what I mean– when strangers can’t tell if you’re pregnant or just at a lot of donuts. Now at 18 weeks it’s obvious; there’s no mistaking that basketball-sized baby bump. Late this week was also the first day I felt what I am pretty certain is baby movement. At first I thought it was gas bubbles, but this was a more random but pronounced flutter up high, a little below my ribs. Now sometimes I feel it on either side of my belly. It’s not often yet, but I love feeling them. I also had my first moment of really feeling excited to meet these babies. Until now, it’s been more of a vague excitement to meet them “some day.” Now that I’m halfway done, and they’re unmistakably announcing themselves to the world, I cannot wait to know them. As far as nutrition, I’ve been feeling pretty much like my pre-pregnancy self– except hungrier, of course. No more real food aversions, and no weird cravings. The hardest thing has been avoiding leftover holiday treats, which has been hard with homemade candy and cookies sitting all over my kitchen. It’s easy to justify the calories, of course, so what has worked for me is thinking about the babies’ nutritional needs. Would I give a one year old a cookie? No way. So I try not to give them sugar now, either. On the front of my mind is our 20 week sonogram in a week and a half. I can’t wait to see these little people up close and find out whether we’re having little girls or little boys. Once we do, I’m going to start name-brainstorming like nobody’s business! I’m excited to feel like I know these babies a little better.